It’s that time of year again when the weather changes, ushering in the flu, cold viruses and upper respiratory infections. If left unchecked, these viruses can grow into something larger and more serious, like pneumonia. To keep yourself healthy during the flu season, it’s important to be extra mindful of hand-washing and limit exposure to people who are sick. It’s impossible to stay away from all germs, though, and that’s why it can also be beneficial to give your immune system a little extra boost. 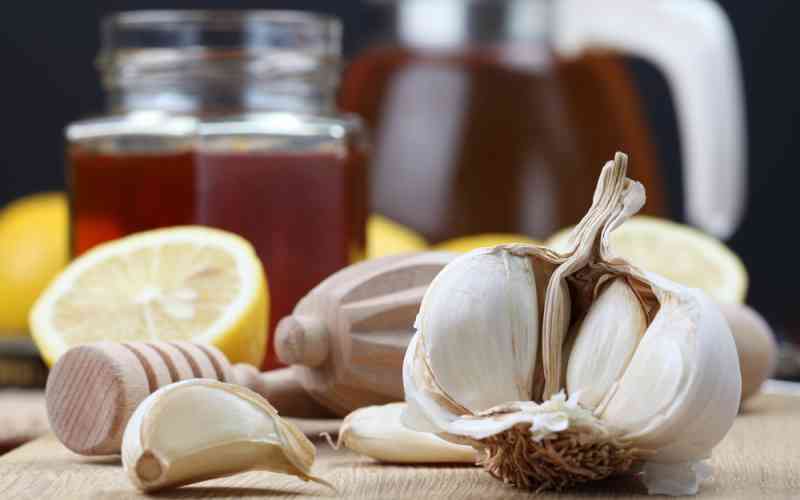 Here are some natural immune boosters for adults that are worth a try. Not only is outdoor activity helpful for reducing stress levels, it can also help protect your body from illness. Being outside in the sunshine provides access to vitamin D, a vitamin that is critical to immune system health. Even just 15 minutes in the right light can give you the rays that you need. Low vitamin D is known to contribute to illnesses like upper respiratory infections, so it’s important to get a healthy dose. If you’re unable to get outside frequently, consider taking a vitamin D supplement. Garlic has been used as both a food ingredient and a medicine for centuries. The biologically active component of garlic, called allicin, can fortify your immune system and help ward off illnesses. Other benefits of garlic consumption include reduced risk of heart disease and improved mental function. So add a little zest to your next pasta dish, and go for the garlic. When your body experiences stress, it produces more of the cortisol hormone, and this can hinder your body’s immune system. It’s well-documented that people who are more stressed out tend to get sick more often, so it’s important to learn how to relax. If you need help coping with stress, meditation, Tai Chi, or yoga are all practices that you may want to explore. Just taking a quick walk outside for 20 minutes can also increase happiness and reduce stress. One of the easiest ways to relieve stress is sharing a laugh with friends. Be sure to stay social to keep the winter blues at bay. Eating healthy in today’s fast-food laden world can be a challenge, but consuming wholesome foods that are high in vitamins and nutrients may be your key to avoiding illnesses. As we age, our appetites often shrink, so it’s not uncommon for older adults to develop a deficiency for a particular vitamin or mineral. Talk with your doctor about what foods to eat and consider supplementing with vitamins as needed. We all know that a good night’s sleep is important for feeling alert the next day, but it’s also beneficial for your immune system. Much like stress, sleep deprivation can cause an increase in cortisol production which can impair the immune system. And it’s not just the amount of sleep that is important, the quality counts too. If you suffer from interrupted sleep, consider getting evaluated by a sleep specialist to see if you suffer from a sleep disorder like sleep apnea. Studies show that taking probiotics may help reduce instances of intestinal infections. There is now an increasing amount of anecdotal evidence indicating that probiotics help maintain the good bacteria in your gut, thereby aiding digestion and eliminating bad stomach bugs. Trying one or better yet a combination of the above strategies may help you stay healthy this season. Regardless of your current health circumstances, it’s important to stay in touch with your healthcare practitioner and talk to them about your options. Sometimes it’s hard to make even small changes to longstanding habits. At a supportive community like Daylesford Crossing, a multitude of resources are available for healthy meal choices, outdoor time, stress-relieving activities and social interaction so that you can stay well and enjoy life to the fullest. To learn more, Contact us to schedule a tour.